Remove or adjust permissions for students, class administrators or teachers. You can remove people from the class at any time. You can also adjust their permissions at any time (make them a student, administrator, or teacher). From the class navigation, go to "Participants". 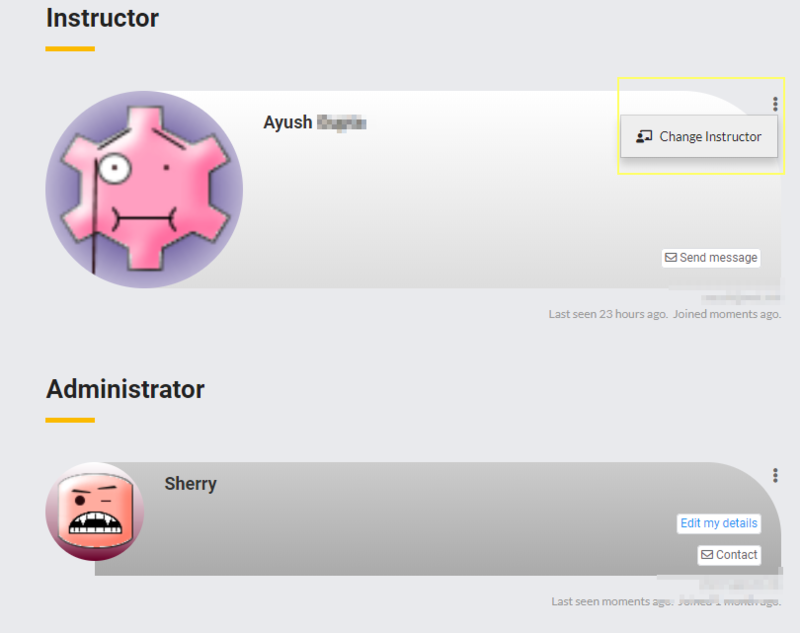 Locate the person under 'Students' or 'Administrator' that you want to remove from class. Click on the 3-dot icon next to their name. Please note: When you remove a student, any content they have contributed to the class will remain but they will not be able to access the class any more.